The premise of this paper is to explore the potential of reminiscing in facilitating self soothing. 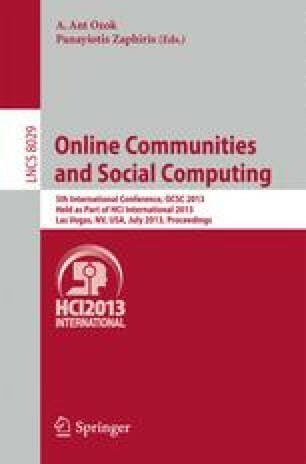 The research presented looks at people’s activities on Facebook and whether these particular activities impact upon their perceived sense of wellbeing, furthermore, whether specific Facebook activities enable a self –soothing effect when feeling low in mood. A survey was distributed amongst Facebook users. The results from the study appear to indicate that in comparison to other Facebook activities, looking back upon photos and wall posts in particular, could have a positive impact upon wellbeing. Additionally, the results indicate that people who have mental health problems, experience a more positive impact upon their wellbeing when looking at photos and wall posts, than those who did not have a history of mental health issues. The results from the research presented here contribute towards the viability of developing a mobile application to facilitate positive reminiscing.